This book consists of six fast-paced stories on Science Fiction themes such as Alien Invasion and Colonization, Dark Artificial Intelligence, Time-Travel, High-Tech Mythology, Djinn Folklore, Psychics, Telekinetics and life-consuming Cosmic Entities. EclipseNo attacks, no blood-shed, yet there was an invasion and a conquest. Who are these shapeshifter aliens being hounded by an eclipse? Death by CrowdThe dark desires of the masses; darknet websites fueled by a crypto-currency. What lurks in the background - an advanced artificial intelligence? GenieHe rubbed a lamp alright, but what he got was the shock of his life. An entirely sci-fi take on the djinn myth. Time CrawlersThere are individuals who existing in multiple time periods at once, and there are those who know about them.... The CaveThe fate of an advanced imperial race hangs in balance as a dark celestial entity meets a legendary protector. Nark-astra, The Hell WeaponThe weapons he possesses make him the destroyer of worlds, and he burns for revenge. A high-tech take on ancient Indian mythology. Some Reader Reviews: He brings in myriad aspects of the Sci-Fi world, some explored and some experimental - which I like a lot. Time and tested subjects of invasion, conquest, AI taking over coupled with old-time but unexplored subjects of Djinns and powerful missile-like weapons from Hindu folklore, make for an engaging and diverse cocktail in this book. 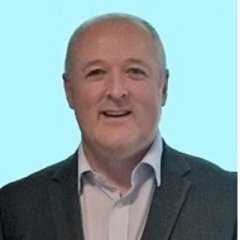 I don't usually write reviews, but I felt the need to support such a commendable effort from a first time author in a genre most don't touch. Must buy, an engaging read.~ AnkitaThe book presents some very interesting ideas too, and is a far better effort than many better selling Indian English-language books that keep coming out with alarming frequency.~ ArnavMust Read. Highly recommended to Sci-Fi readers. Very interesting blend of mythology, science, drama & AI. All stories are worth reading more than once. It does not leave you even after putting it down~ NehaA book which you can read multiple times automatically deserves 4 stars, each story in this book is a highly immersive experience. Only complain should have more stories, felt like I finished it too fast.~ KingpkA Foreword from the Author: On parallel universesBillions of universes run slightly parallel to our own universe; worlds full of infinite possibilities. There are many humans living in those parallel worlds, leading their lives, in a very similar way to how we are leading ours. But their respective realities differ from ours in some very peculiar ways.Inhabitants of some worlds have already been visited and are being ruled by aliens. Some traveled through time, back and forth, and some have taken their space exploration to advanced stages using their powerful spaceships. Some created ruthless artificial intelligences that are fulfilling dark, human desires. Some developed advanced weapons technologies thousands of years before we did.I believe a writer's brain can somehow tap into this multitude of universes and take a peek into the events happening in each of them. This book, comprised of six stories, is my attempt to narrate to you tales from six different parallel universes. These stories are events that my brain somehow tapped into and captured in detail. Let me know if your unconscious mind visited the same universes as mine. 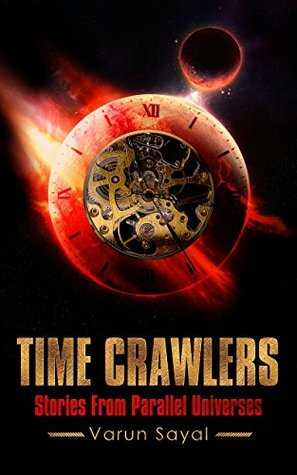 Time Crawlers is a highly imaginative, gutsy and spellbinding book of 6 stories that take us on a morally challenging ride through high-tech worlds and encounters that shock, terrify and enthral us. Varun hasn’t written stories with subtle moral messages, the moral core of the stories are explicit and dominate the context. Each has a theme of advanced science and technology in multiple universes and we wonder, are we being teased with the scenario that the more advanced we become with technology, the more we relinquish our hold on an ethical and moral society. Hatred and revenge can be blinding and when Prayaschakit comes for Dushtminhas, seeking revenge for brutalising and killing his family, he is armed with advanced deadly sci-fi weapons. If necessary will he use the ultimate hell weapon which will ensure death to everyone including his target, himself and all the innocents, what will his moral conscience allow him to do? Are delivered as a discourse between two characters and really challenge our perception of reality, the universe and time. There are some lovely twists in the stories. Aliens that exist in the four dimensions have surreptitiously conquered the human race taking all positions of power and influence. The masses (humans) are controlled without their knowledge and fed direction as appropriate. Sound familiar? They feed off human emotions, and with so many wars, crimes, conflicts and broken hearts, humans are inherently and perpetually unsatisfied and hugely emotional. This is a very well written and creative book with different structures to each story that deserves praise for their refreshing imagination. The stories delivered as a dialogue between two characters are very well written and manage to convey a supernatural and inquisitive theme. I love an author that trusts the reader to complete or finish their stories although some just end more abruptly than I liked. I really enjoyed these short stories particularly the backdrop of high-tech, biotech and AI technology, which resonated with me on how this is evolving. I would like to thank Varun Sayal for a free copy of his book in return for an honest review.